A 16-year-old boy is fighting for his life after he was involved in a collision with a car. 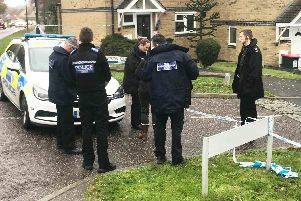 The incident occured in Halewick Lane, Sompting according to West Sussex Fire and Rescue Service. Pictures show it was at the A27 junction. A fire service spokesperson said they were contacted just after 8.30pm and two fire engines and a heavy rescue vehicle were sent to the scene from Worthing Fire Station with an officer. They confirmed that the collision involved a car and a 16-year-old male pedestrian, and added that he was treated at the scene by a doctor from the Kent Surrey Sussex Air Ambulance. Paramedics were also at the scene. The boy was then flown by helicopter to hospital. Reports suggest the boy is in a very serious condition. A spokesperson for Sussex Police said that they sent six units to the scene. After assisting fire and rescue crews and the ambulance services they put up a road closure, which remained in effect until just before 1am when roads were reopened. A spokesperson for the air ambulance has given an update on the incident. Read it here.